Ride your horses on 150 miles of protected trails on the famous FETA trail system. 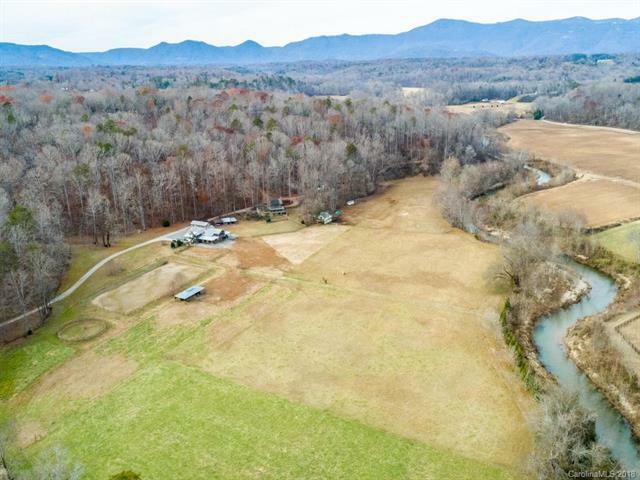 Nestled in the historic Hunting Country area, next door to FENCE, this farm offers 32 acres of private horse farm on the Pacolet River. 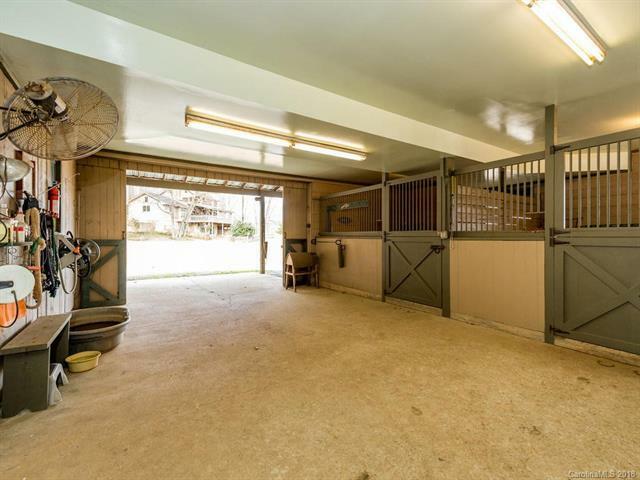 2 separate homes offer nearly 5000 square feet of living space and 15 stalls. Main house is 200+ yr old historic log cabin remodeled in 1995. Wide beams, 4 fireplaces, 2 porches, & stone patio. Second House: a true Hunt Box. 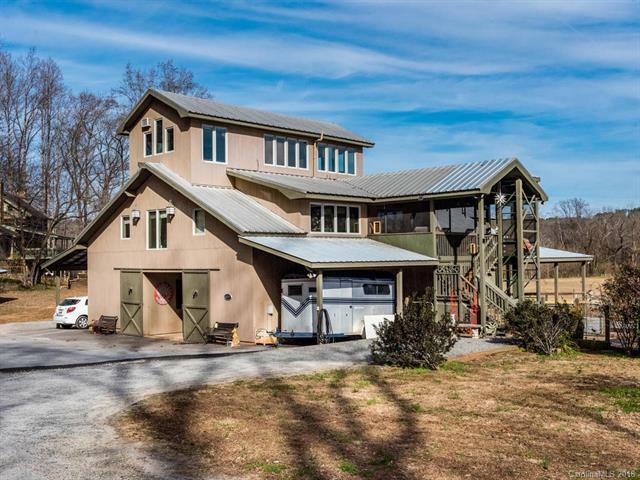 2000+ sqft of country living above a 5 stall barn. Kitchen, living/dining room, den, breakfast rm, 3 bedrooms, 2 full baths, fireplace, 2 screen porches. 16 ft aisle, tack room/grooms quarters with full bath & laundry room. Separate office/studio building w/4 stalls, feed/tackroom and round bale feeder below. Large Barn with 4 stall set up, RV parking and living space above just waiting to be finished. Workshop building w/covered parking, 2 stall run-in barn w/feed room. Lighted riding arena and 60 round pen. 5 mins to downtown Tryon/Landrum.